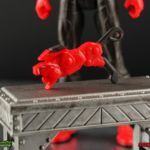 Was it chance or fate that Devon Daniels just happened to sneak into Grid Battleforce headquarters on the day that the villainous Evox infiltrated it? 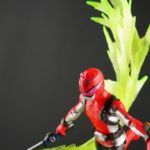 Planning to turn the soon to be Power Rangers into his avatar puppets, Evox struck and succeeded with two potential heroes. 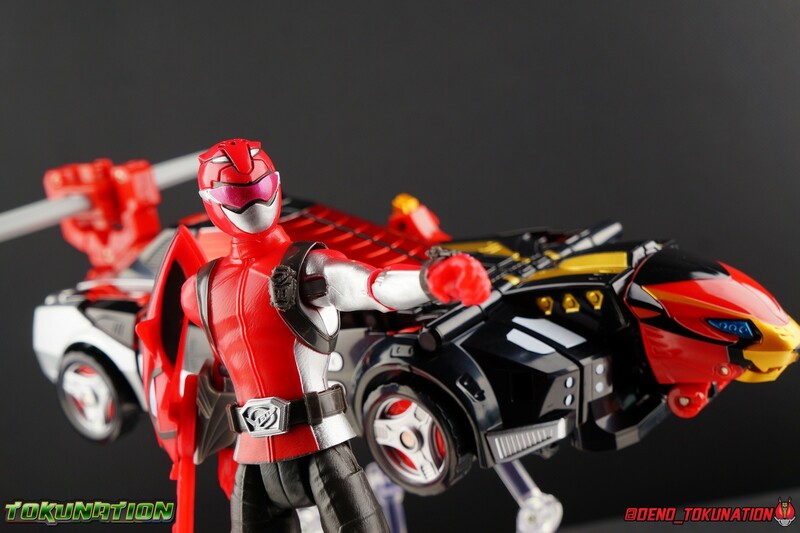 But thanks to Devon, Ravi, & Zoey, Evox hasn’t won yet. 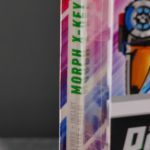 To stop the avatars Blaze & Roxy the latest generation of teenagers with attitude harness the power of Morph X to become the Power Rangers! 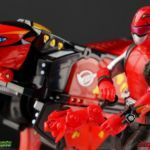 The Beast Morphers toyline has officially kicked off in Canada and the US! 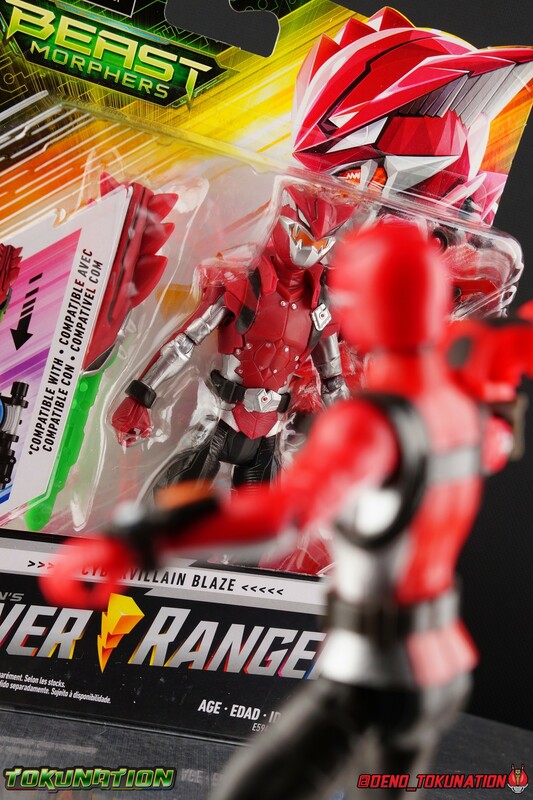 Meaning collector’s all over are beginning to see these toys in the wild for the first time. 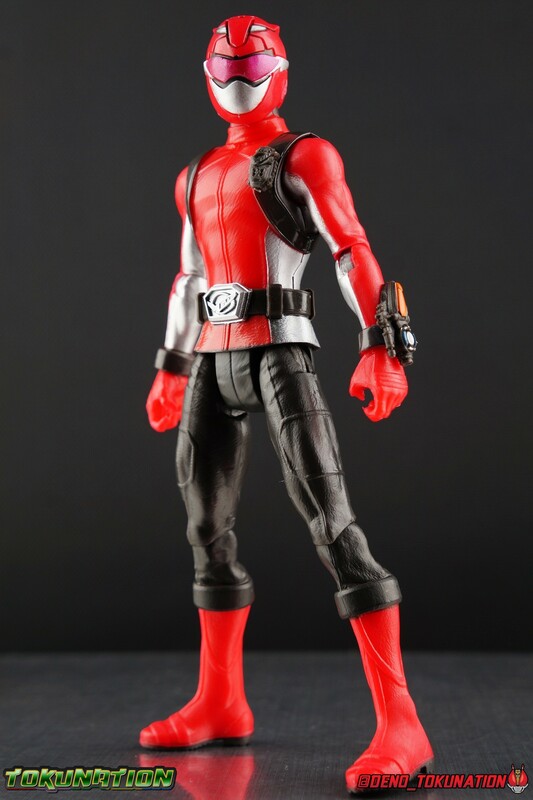 Some of the first products being spotted at most retail stores are the 6″ Basic Figure Wave 1 assortment. 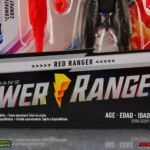 The Red Ranger from this assortment kicks the line off really nicely and sets the bar a lot higher than any ranger figure’s from Bandai America ever did at this price point. 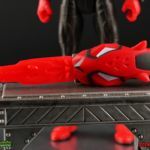 The new 6″ scale is a welcome change to most, there’s better articulation than what we used to get, no more steroid muscle proportions and these figure’s actually come with multiple accessories! 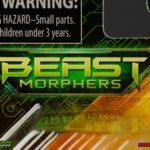 Like the Beast X Saber, Cheetah Beast Blaster, and a Morph X Key! 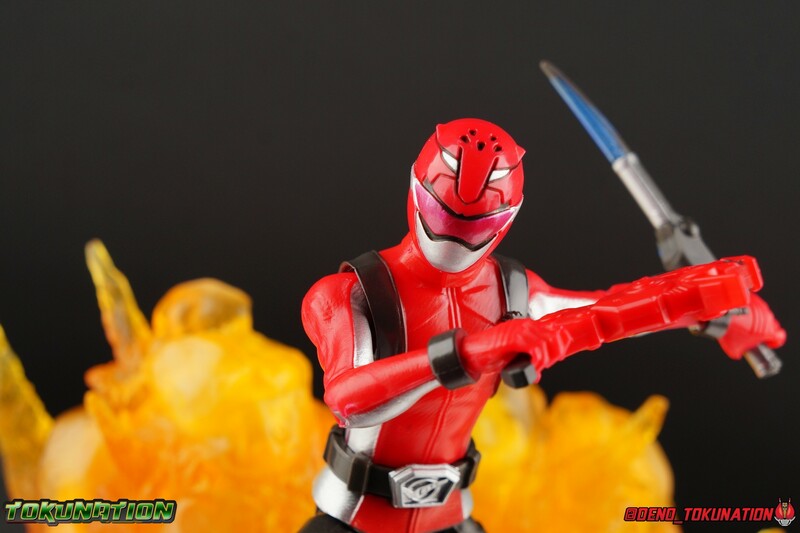 We’ve assembled over 65 images of the 6″ Basic Red Ranger in this gallery. 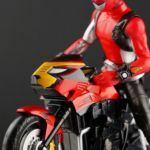 Just click “Discuss on the TokuNation Forums” at the bottom of this post to be taken to our full review thread. 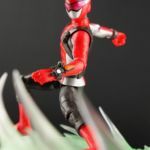 Our next Beast Morphers gallery will feature none other than Cyber Villain Blaze! In the near future, the peaceful city of Coral Harbor will take the first step in an energy revolution. 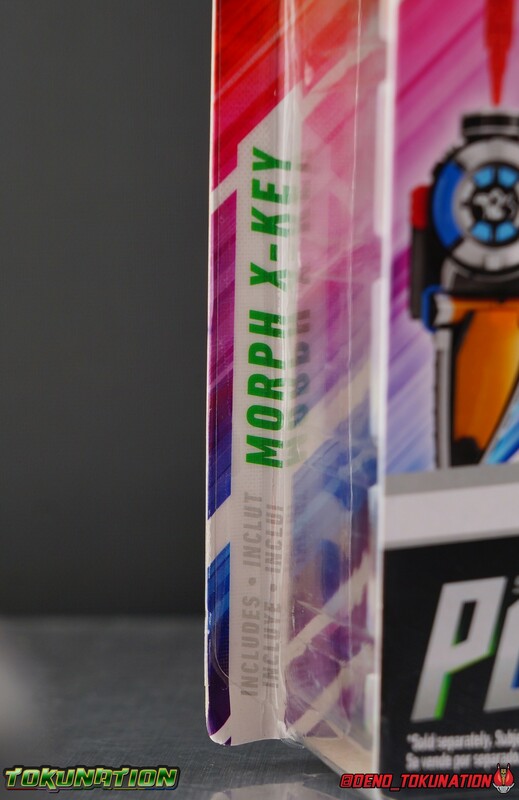 Tapping into the untold energies of the Morphin Grid, the city is powered by Morph X! Efficient, clean, limitless, this power source could create a utopia, or attract evil. 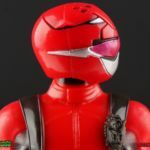 When the deadly virus Evox infects the systems of Grid Battleforce headquarters, it attempts to create evil avatars of the soon to be Power Rangers. Thankfully as always, teenagers with attitude have stepped up to defend our world! But one of these heroes, never imagined being one. 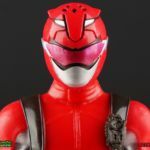 Devon Daniels' curiosity lead him straight to the Morph X lab and straight to his destiny, becoming the Beast Morphers Red Ranger! 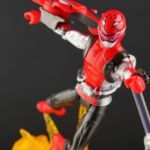 With powers thrust upon him in the most unlikely scenario, Devon steps up as a humble hero to lead a new generation of rangers against the avatars Blaze & Roxy and their new master, Evox. 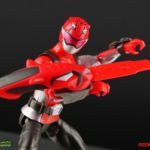 For today's gallery we're doing a bit of a deep dive on one of the very first Power Rangers toys released by new license holder Hasbro. 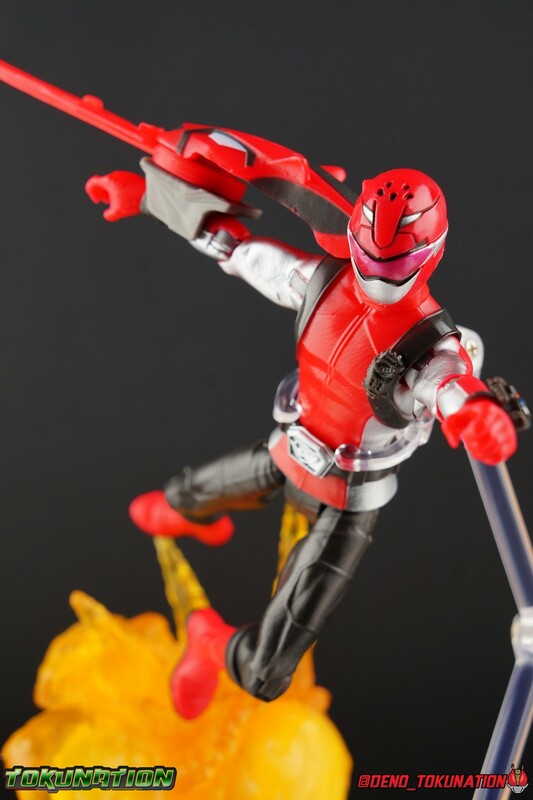 While Canada saw the figure's hit retail first, the US has quickly followed suit. 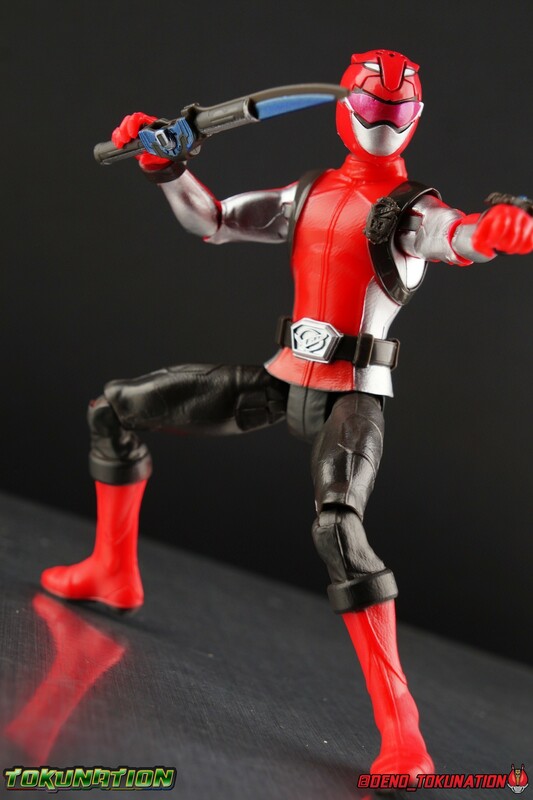 Undoubtedly the most common thing people are seeing hit their local stores first is the 6" Basic Figure line. 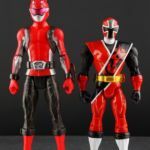 Long gone are the days of Bandai America's muscle bound 5" line, now a more collector and play friendly 6" line has taken it's place. 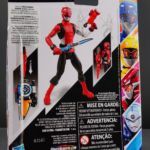 Wave 1 consists of the Red Ranger, Blue Ranger, Yellow Ranger, Blaze, & a Tronic. 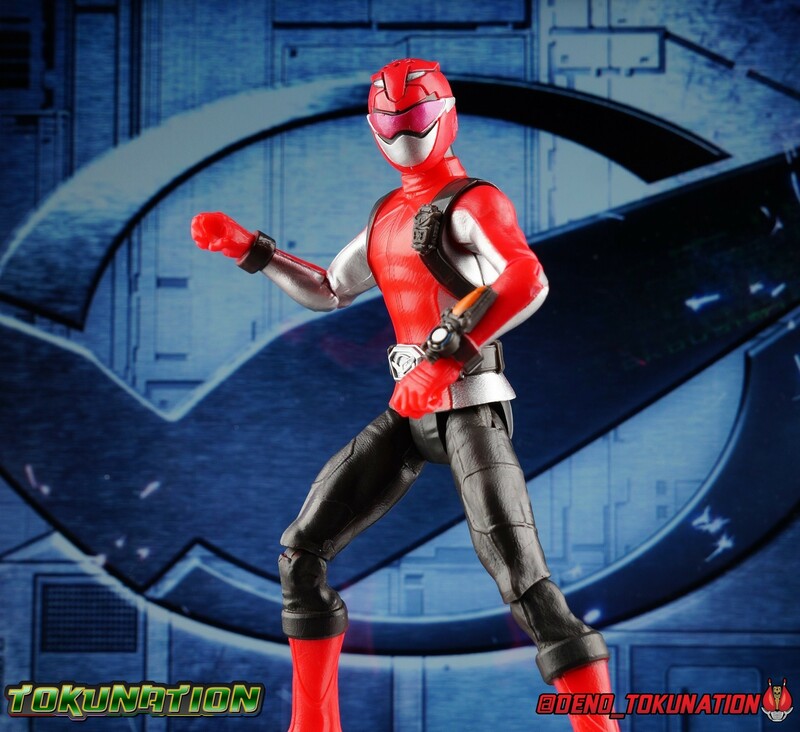 And today we're focusing on the 6" Basic Red Ranger figure! 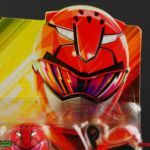 Power Rangers figure packaging shrank quite a lot over the years, as the figure's themselves did too. 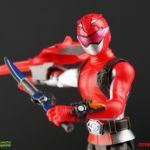 When Saban Brands revived the franchise in 2011, they brought out a totally new line of figure's inspired by those created for Samurai Sentai Shinkenger, but decidedly quite different. 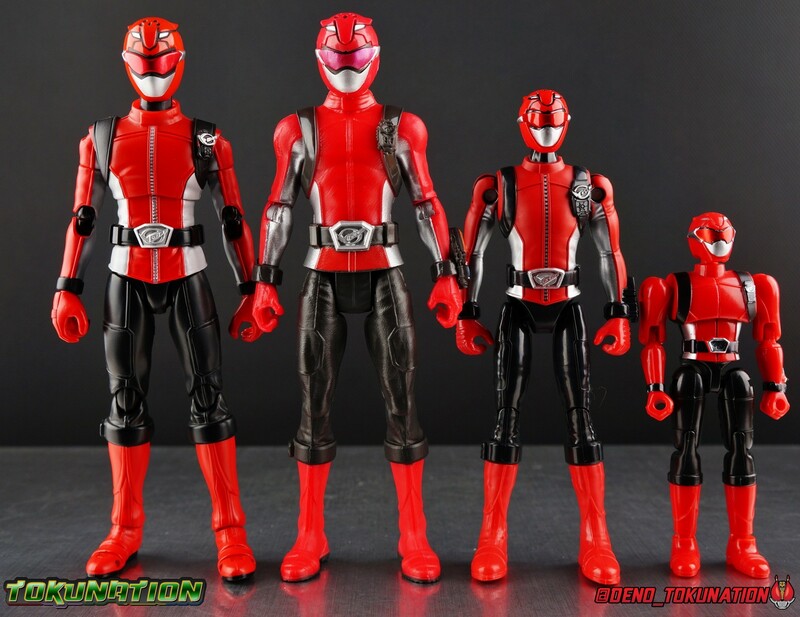 Initially their new line of Ranger figure's were at the 4" scale. 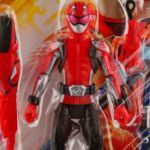 But by the time of Megaforce & Super Megaforce, that scale had been largely phased out and replaced with a new 5" line of figures. 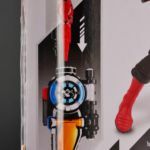 While the packaging aesthetics didn't deviate a ton between each of the series that followed, Hasbro has taken things in a much bolder direction. 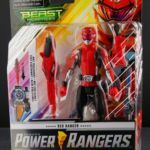 Hasbro's Beast Morphers packaging is incredibly vibrant and a great evolution from what came before it. 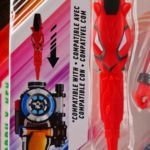 It's exactly the kind of change needed to really spice up the line and attract customers. 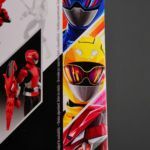 Brighter colors and a less mundane packaging layout (looking at those very dark Ninja Steel card backs) go a long way to making a figure more appealing to potential buyers. 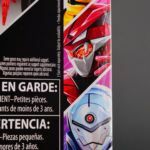 A more standardized but larger brand logo is emblazoned across the front, but the most eye catching thing is the gorgeous new box art. 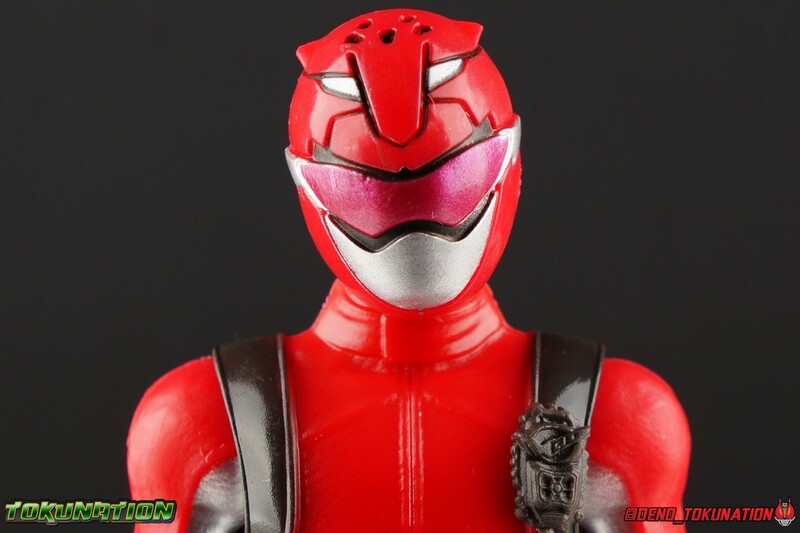 The Red Ranger's head shot is just so alive and colorful. 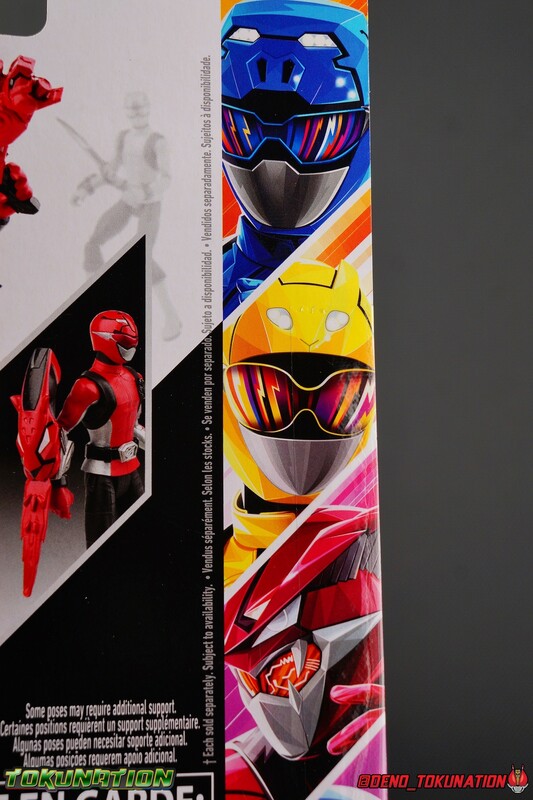 The back of the card back also features similar though smaller portraits for the other two rangers and well as the two villains of wave one. Each really looks incredible and I'd love to own prints of them. 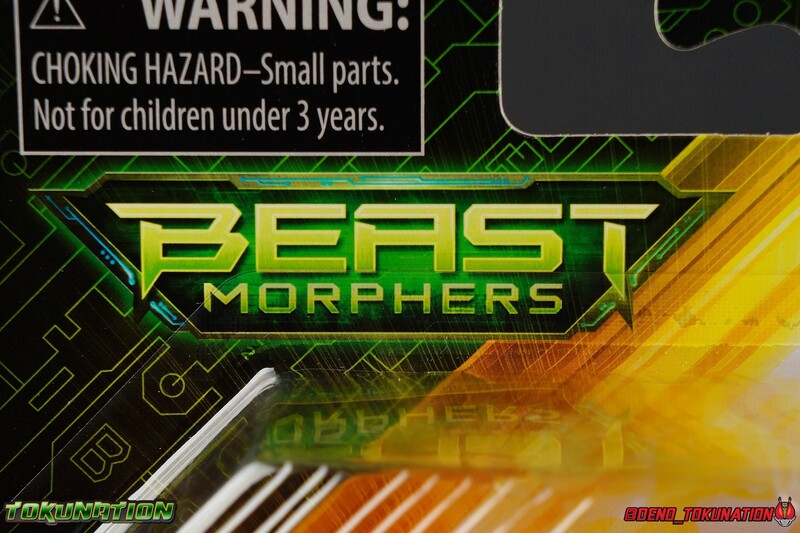 Both sides of the packaging also feature a cross-sell for the Beast X Morpher. 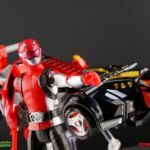 Each figure in Wave 1 includes a key compatible with it to activate Morphin and Battle sounds as well. 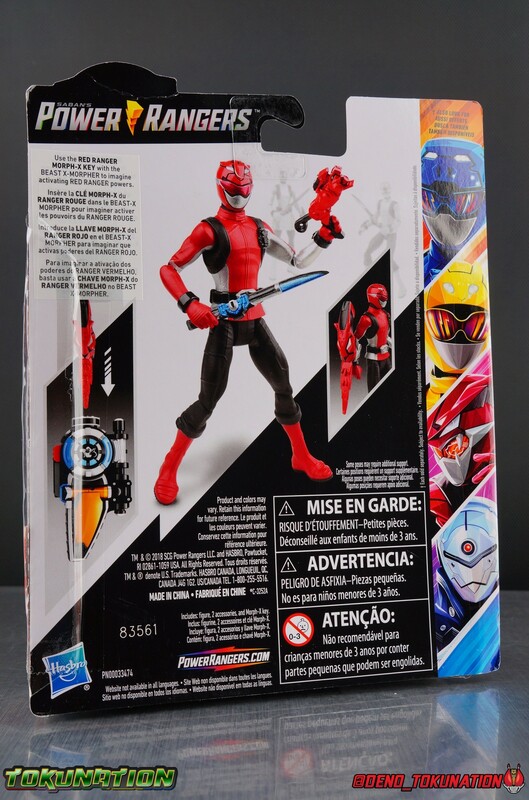 Over all this is a really dynamic looking box for a "basic" figure line. 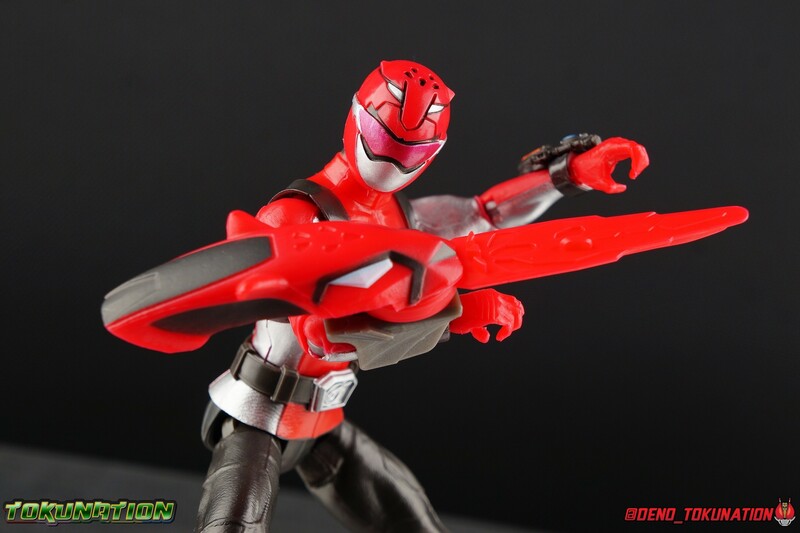 It will definitely take up a little more retail space on shelf pegs. 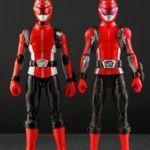 But given the fact that as you'll find out below, these figure's are bigger and better than any we've gotten before, these are bound to sell more readily than anything we've seen before as well. 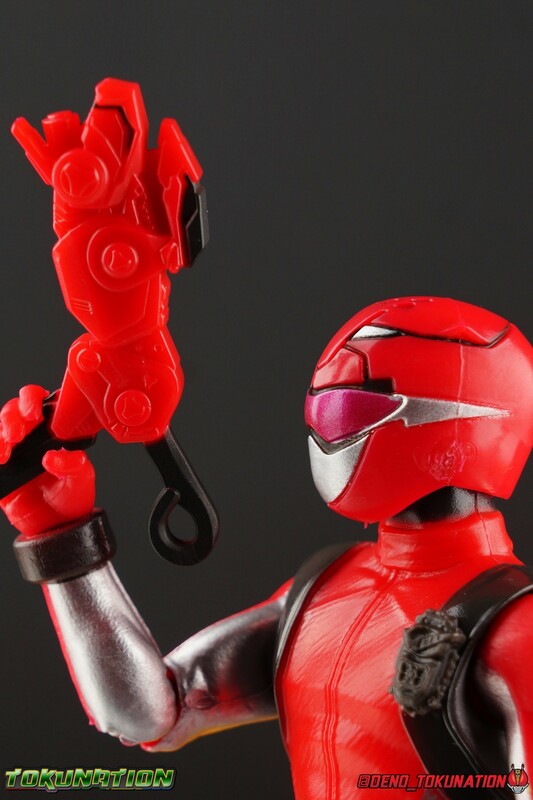 Bringing a toyline to life from the ground up is always a challenge. 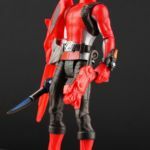 Hasbro is no stranger to that though. 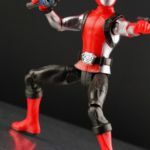 Their effort to revive Marvel Legends and Marvel toys in general was huge. They've continued to reinvent the Star Wars brand every year as well. Not to mention the myriad of other brands they've maintained over the decades. 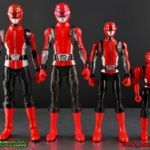 Their Power Rangers situation however is really pretty unique. 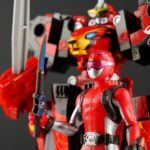 Saban & Bandai America for many years imported Japanese Super Sentai toys and either removed diecast parts or sometimes other functionality but would release essentially the same product. 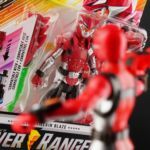 Until the early 2000's that is when Power Rangers toy lines were largely new original toys designed just for the western market. 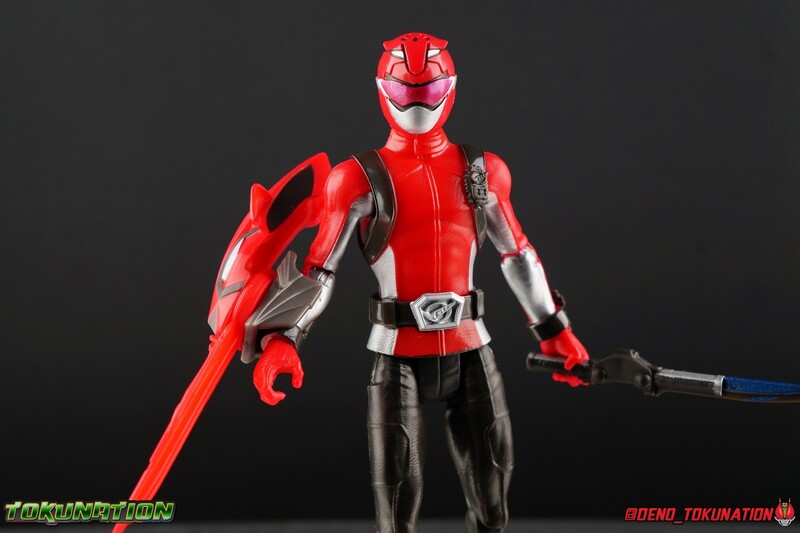 This trend continued full force in that Saban 2.0 era of the brand as well. 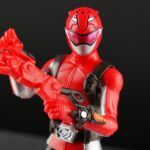 Hasbro is taking a similar approach in their development of the Beast Morphers line, but it's *very* safe to say, this line is a massive improvement over what we've seen from Bandai in the past. 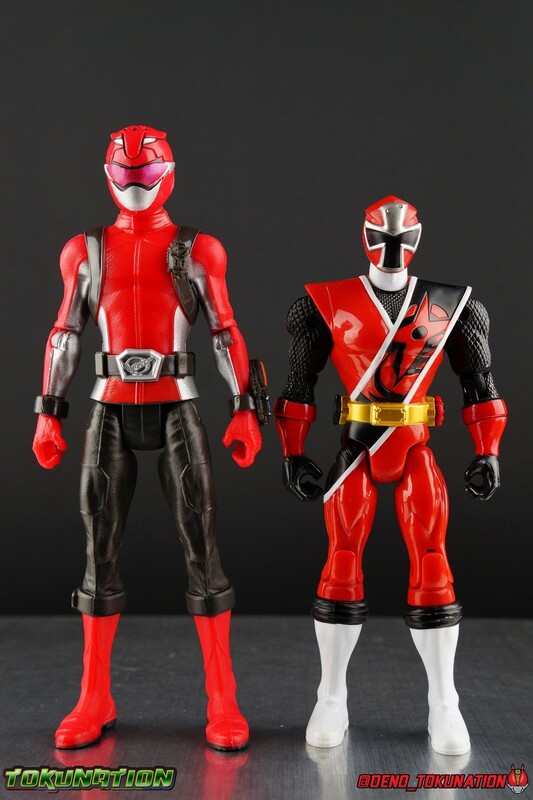 These new 6" basic figures dwarf the old 5" line produced by Bandai. 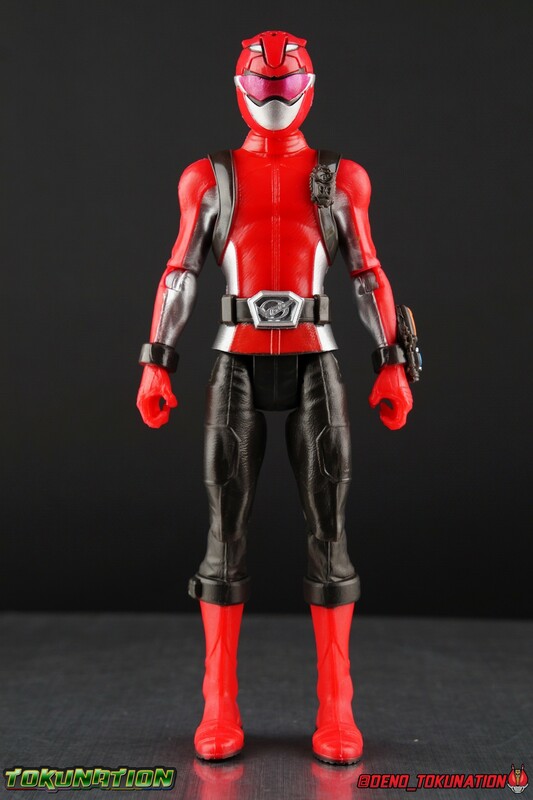 They've also thankfully ditched the roided out muscle man look of those figure's too. Even just a glance it's apparent which of the two is the better line. So let's break it down. 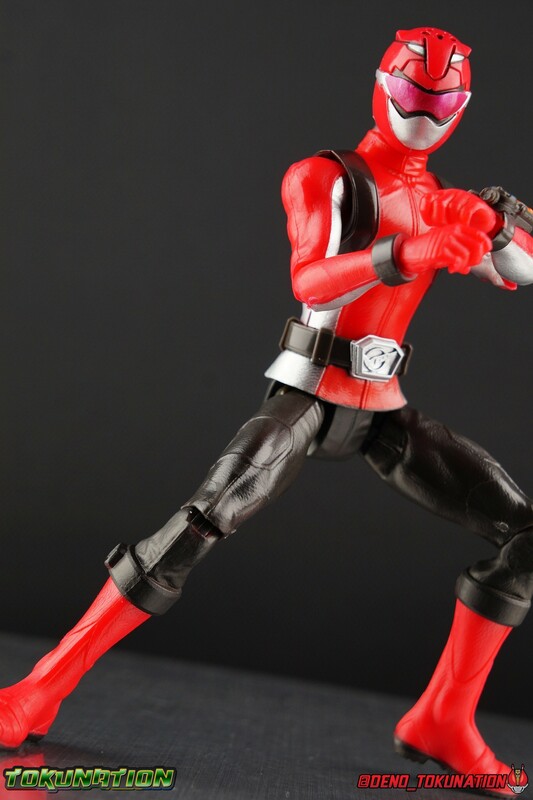 The legs are actually really great for a figure at this price point ($9.84). 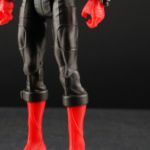 While they seem fairly simplistic at first due to the lack of any ankle joints, they make up for it with a swiveling knee joint. 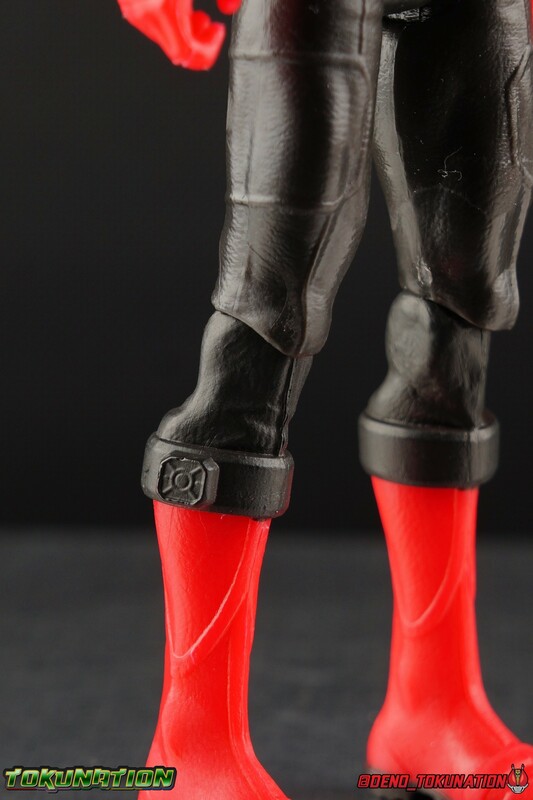 This allows the legs to move outward enough to mostly compensate for the balance issues it has without ankles. 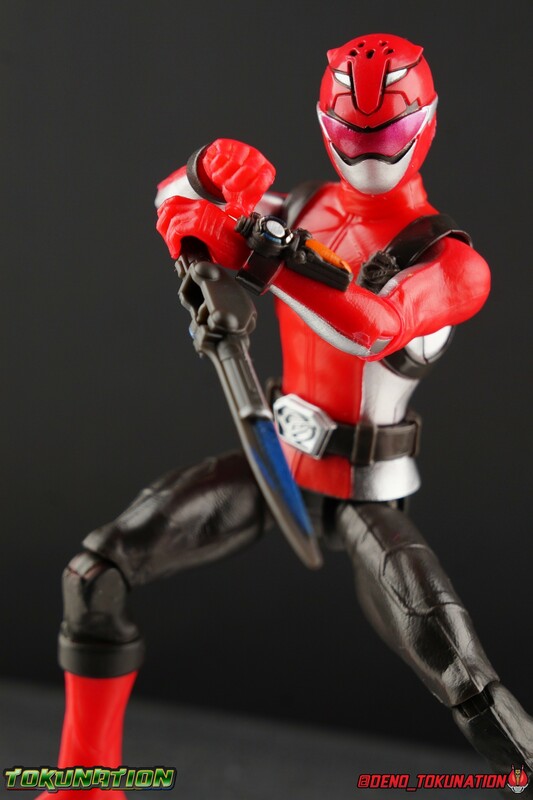 Some posing can be a little difficult, but this is a massive step in the right direction after the really poor designs of Bandai's 5" ranger lines. 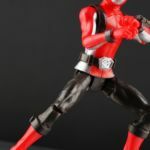 The hips also feature some pretty solid hinge joints that let the legs swing decently forward and back as well as outward. 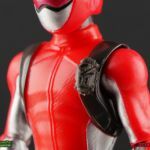 The lower portion of the Red Ranger's torso that sticks out under the belt, is also made of a softer plastic material allowing it to flex somewhat when it encounters the legs. 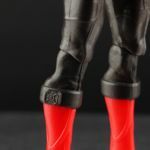 Just to note it, the lower half of the legs are fully molded red plastic, while the portion that connects to the knee joint and just below is painted over in black. 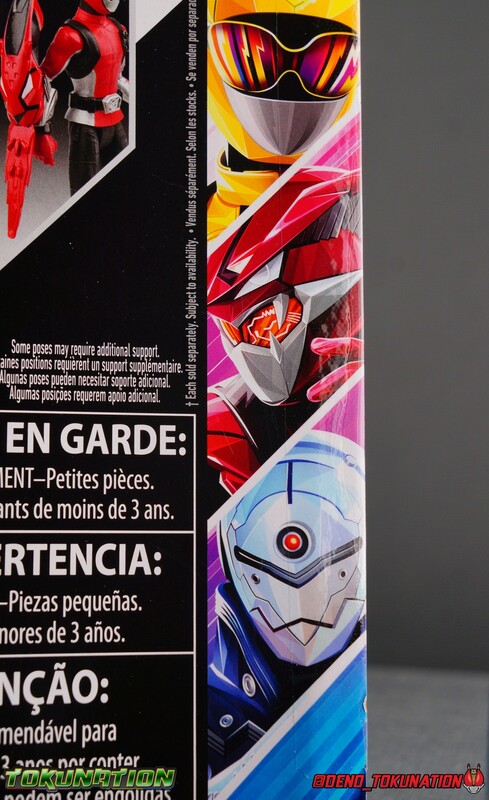 On some copies you can see this more clearly but it was hard to notice on mine. 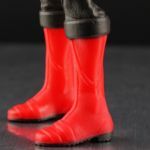 Overall the molded details in the legs really make this figure feel like it had a lot more love put into it than I'd traditionally have thought at this roughly $10 price point as well. 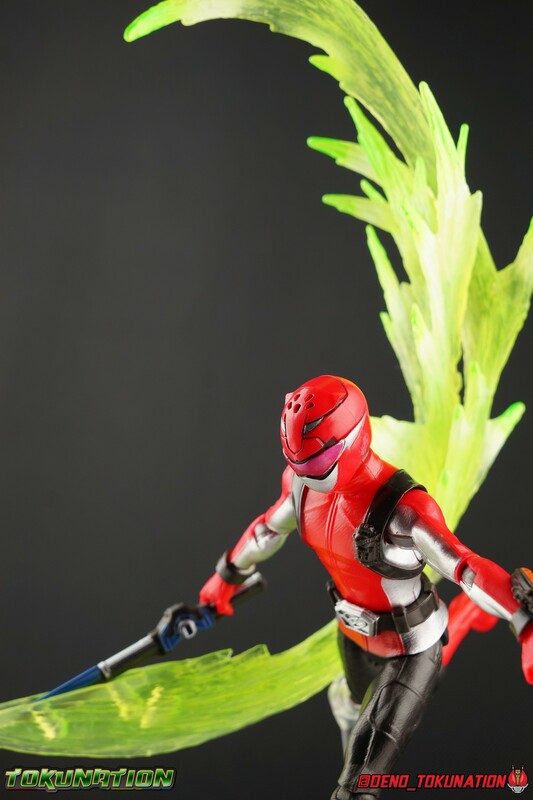 The torso is one solid piece with no articulation cuts built in. 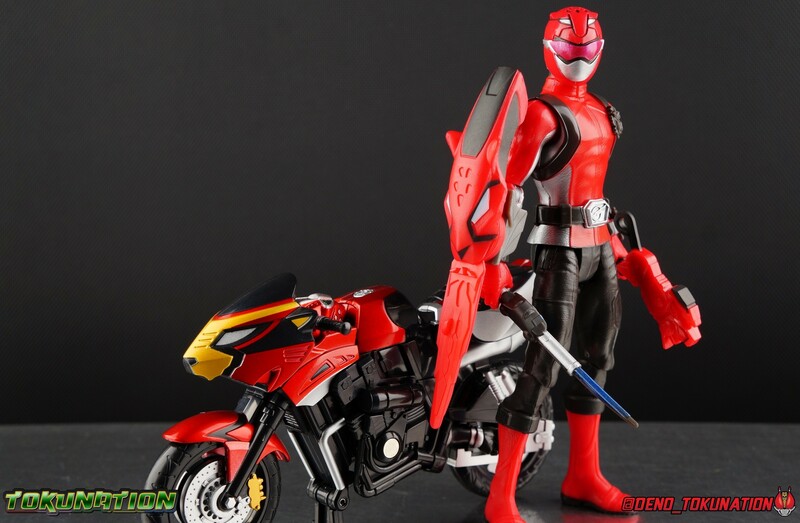 Now this isn't really surprising for a basic figure line, and it's no different than what we've gotten over the years from Bandai either. 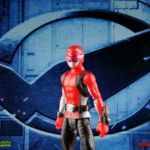 What we do get however is a correctly proportioned and really nicely sculpted body for the Red Ranger. The torso is slender and at least looks like a normal human, which is the first time in a long time for Power Rangers figures. 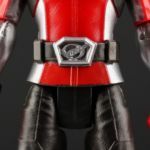 Around the waist is a belt with the Grid Battleforce logo, which has a pretty sharp sculpt to it as well. 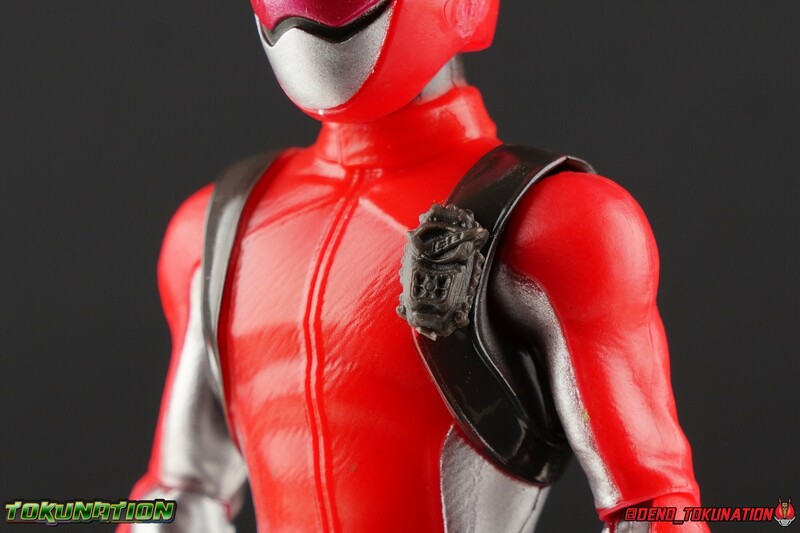 Around the chest are sculpted in straps, on the left side of the chest is a sculpted in transporter. 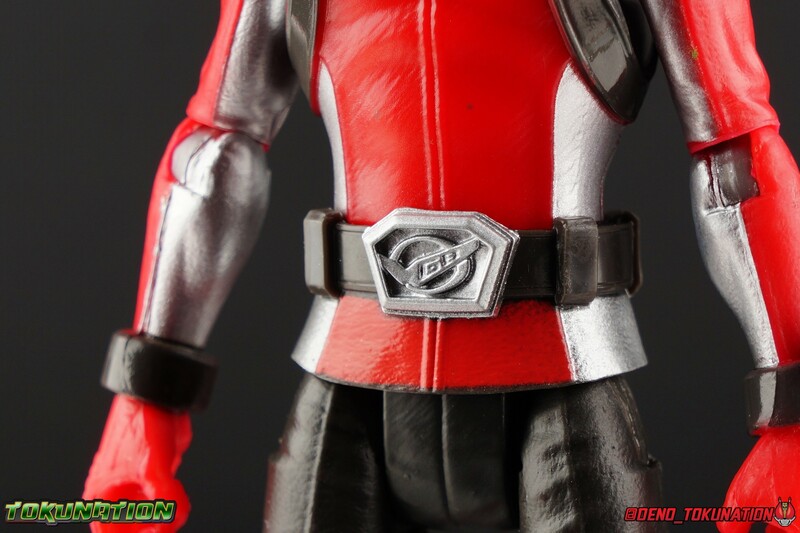 Perhaps the only complaints to levy at this figure's torso is that the silver paint app needed for the zipper down the center, and silver details for the transporter are missing. 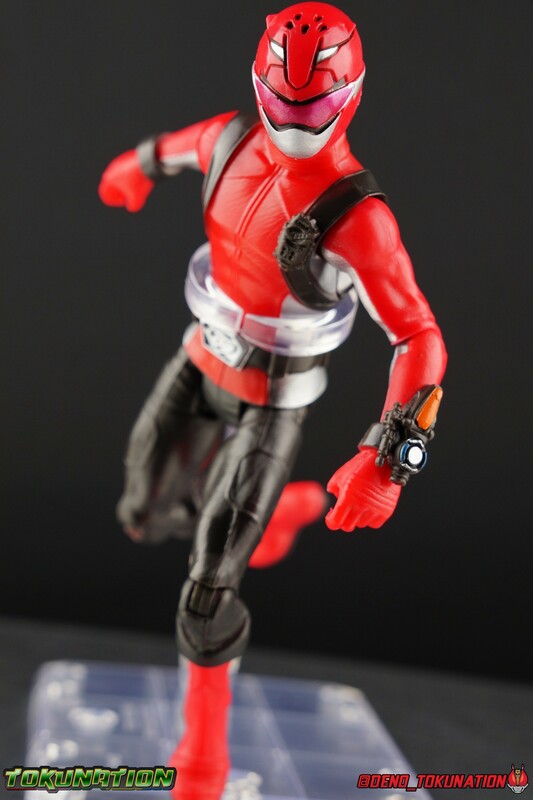 Once again though, this is a $10 figure that's leaps and bounds better than what we've experienced previously. So this is a minor annoyance. 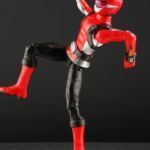 The Red Ranger's arms are likewise proportionate to the main body. 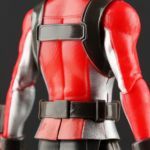 They can naturally rest flat and almost right up against the main body, another departure from the muscle men of the past.. Each shoulder is hinged for outward movement and full 360 rotation. 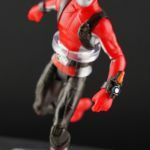 while the elbows features the same unique swivel joint as the knees. 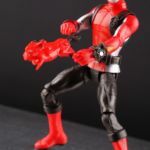 The one drawback is the lack of wrists. 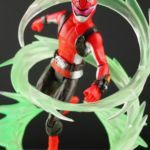 While I understand the choice at this price point, it's a little detrimental to what the figure can do. 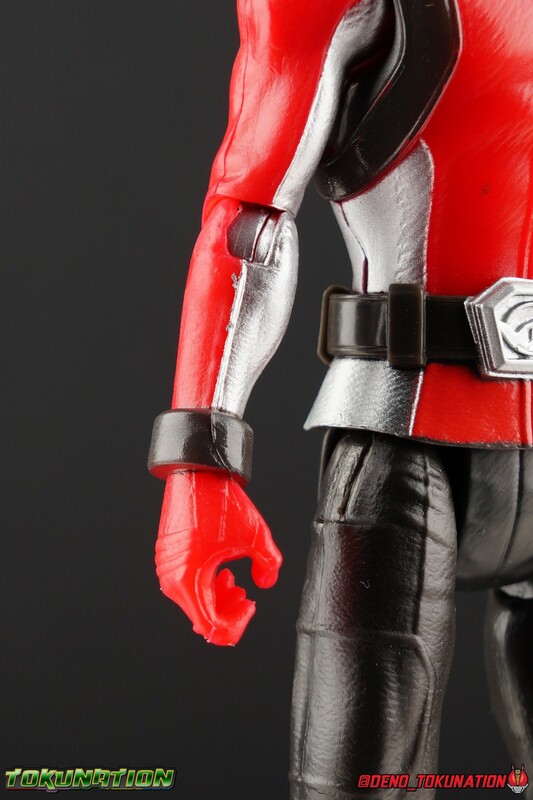 The elbow joint can fill in a lot of that articulation gap but only goes so far. 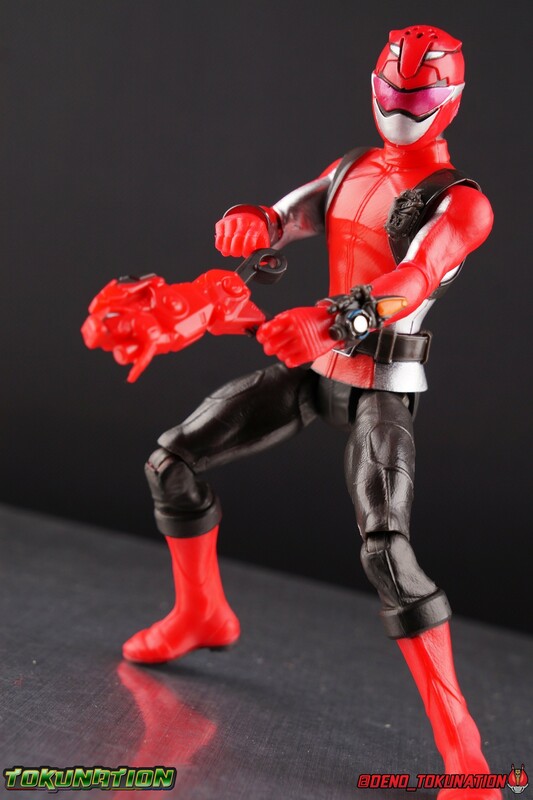 Each hand is molded in it's own open pose as well. 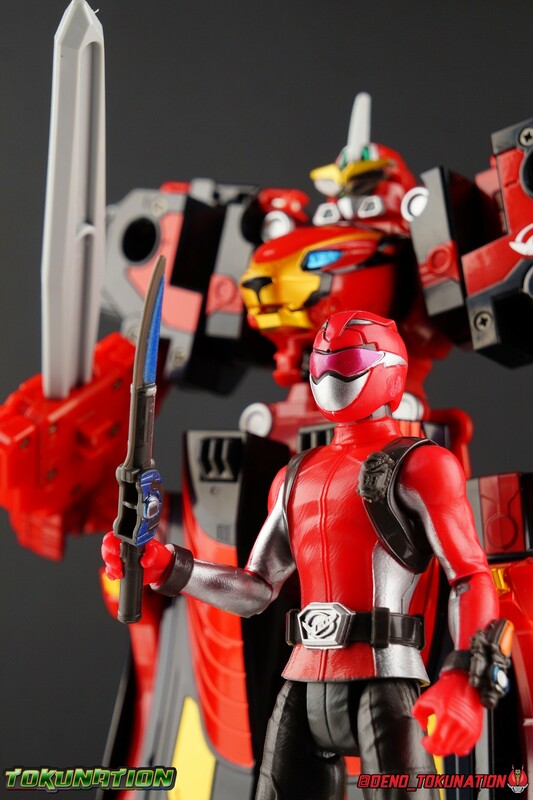 The left hand to hold the Cheetah Blaster, the right to hold the Beast X Saber. 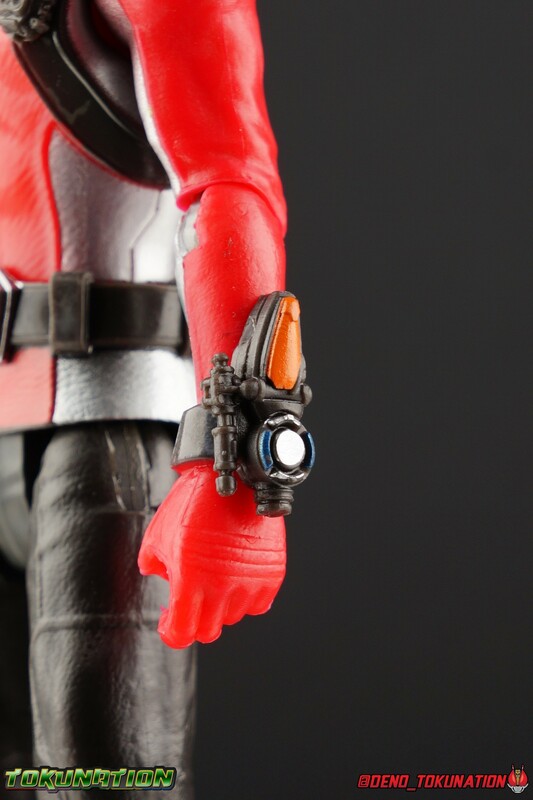 Each weapon is a pretty snug fit in the hand so just be cautious. 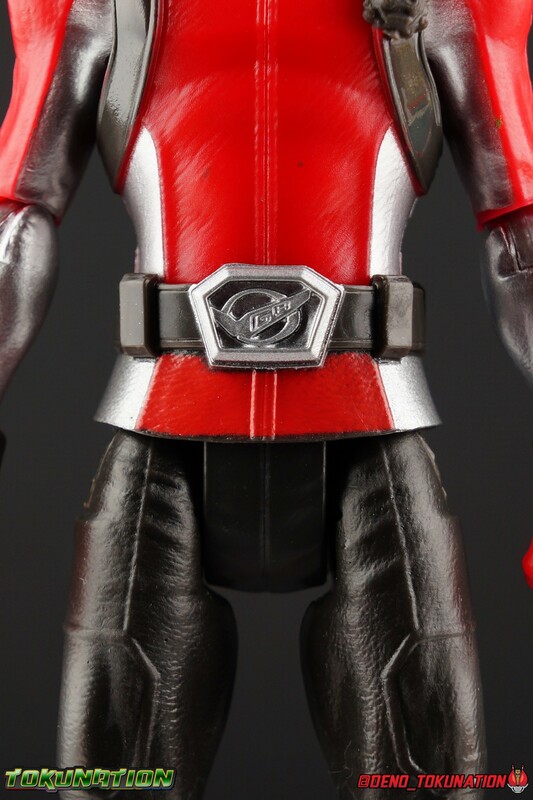 The left arm also features a pretty decent approximation of the Beast X Morpher. Finally the Red Ranger's helmet is a solid to scale version of the actual costume. 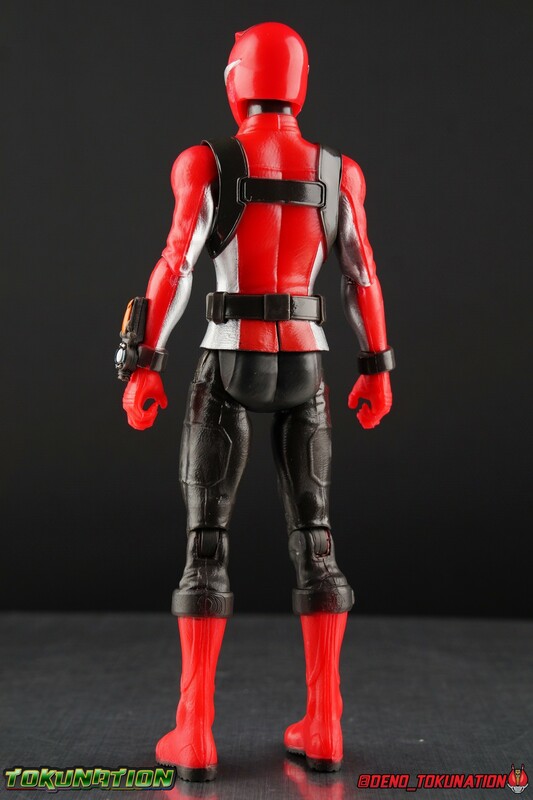 The sculpting is all there and the size of the helmet really makes sense when compared to the body. 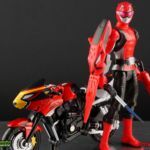 It doesn't look oversized like figure's of years past thankfully. 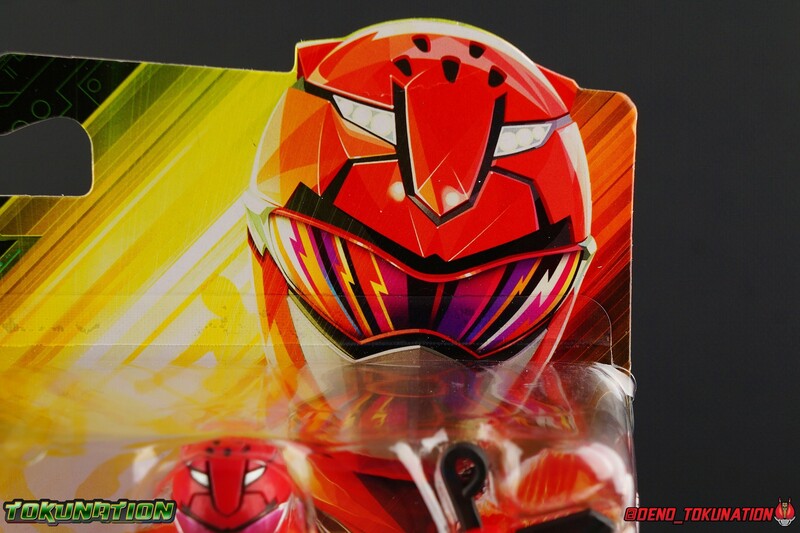 I do find that the visor color is a little more pink than it should be, but that's minor. 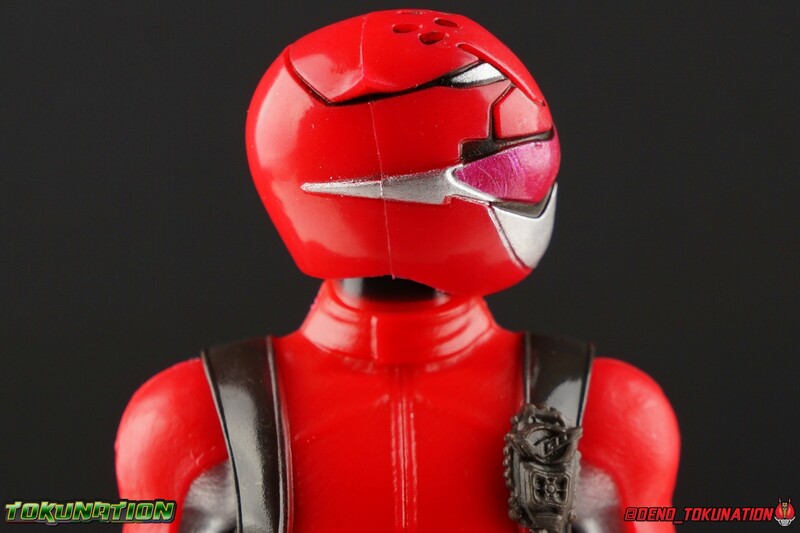 As images 45 & 46 show, the head is also pretty nicely articulated. 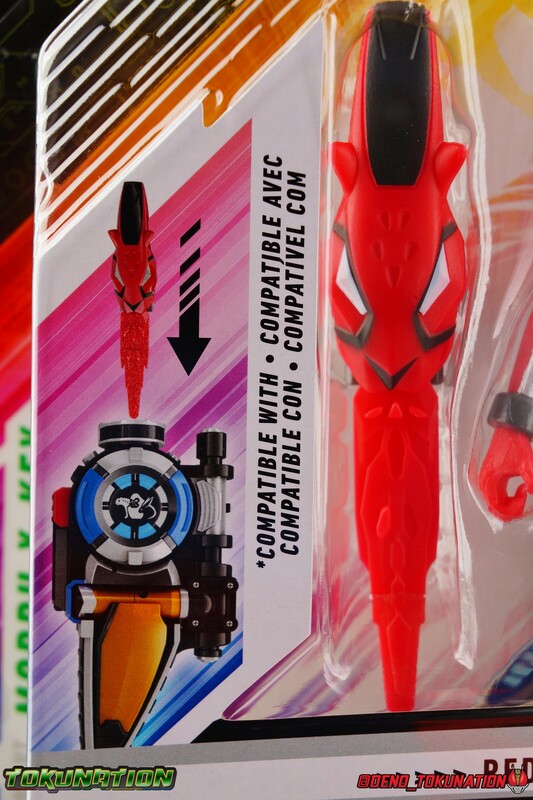 It can tilt slightly to either side, and rotate as well. 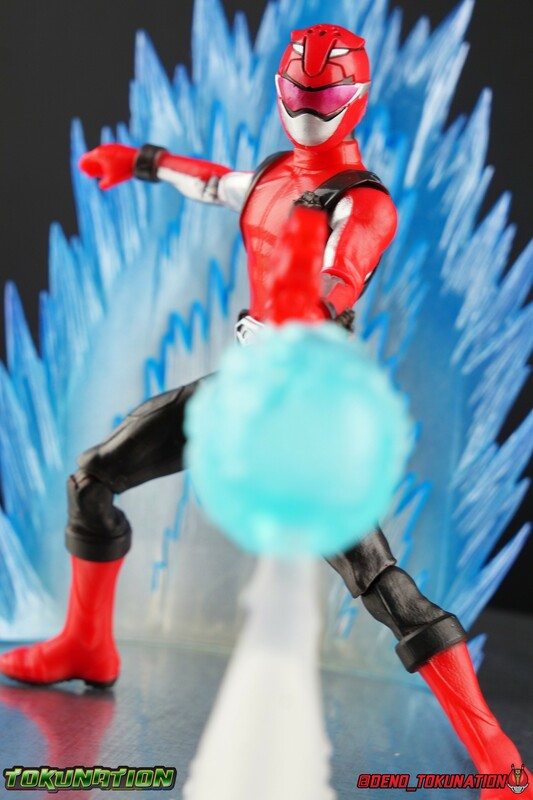 While Bandai figures could obviously rotate as well, it didn't feel as easy or as fluid. 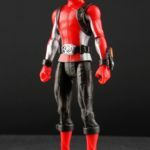 There are some minor shortcomings with this figure that's carried through the line, some of the articulation choices being the biggest gripes. 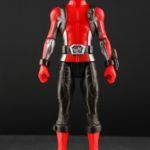 But Hasbro's effort also comes in at a larger and more collector appropriate/friendly size that I think makes it very distinct from it's predecessors. 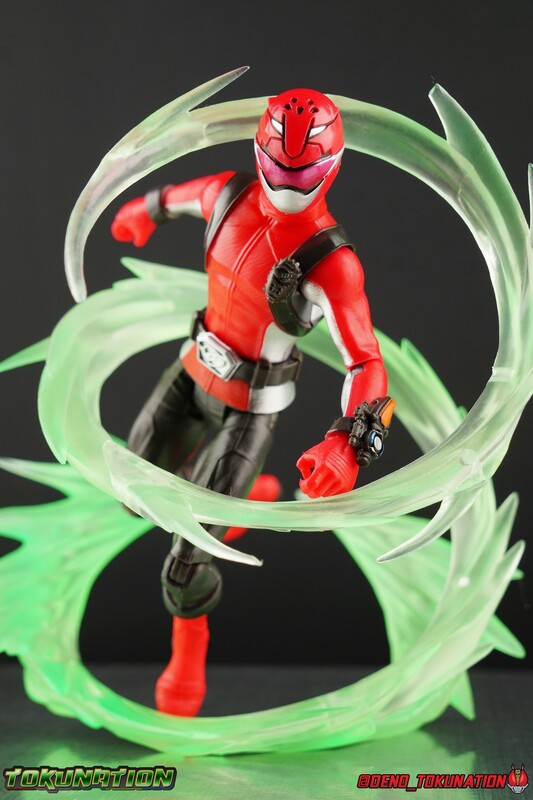 Add to that the $10 price point and honestly it's hard to complain about this figure at all. 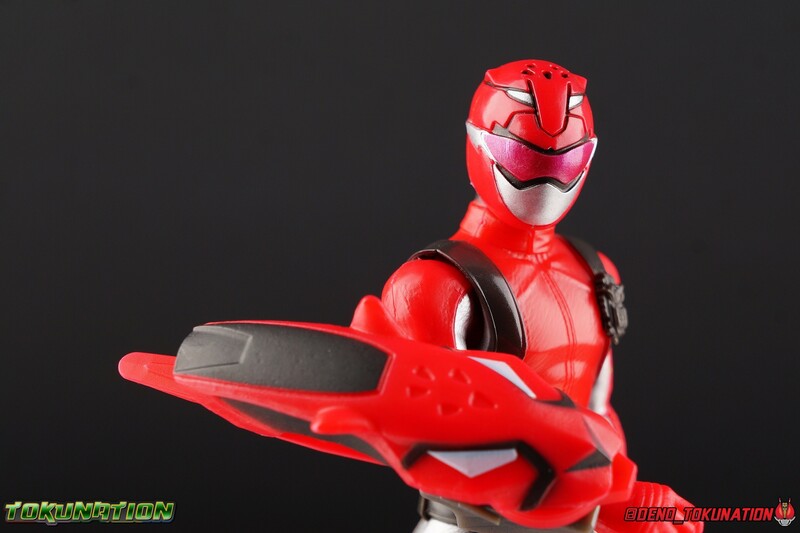 And with Lighting Collection figure's on the horizon as well, this makes it an even easier compromise to accept. 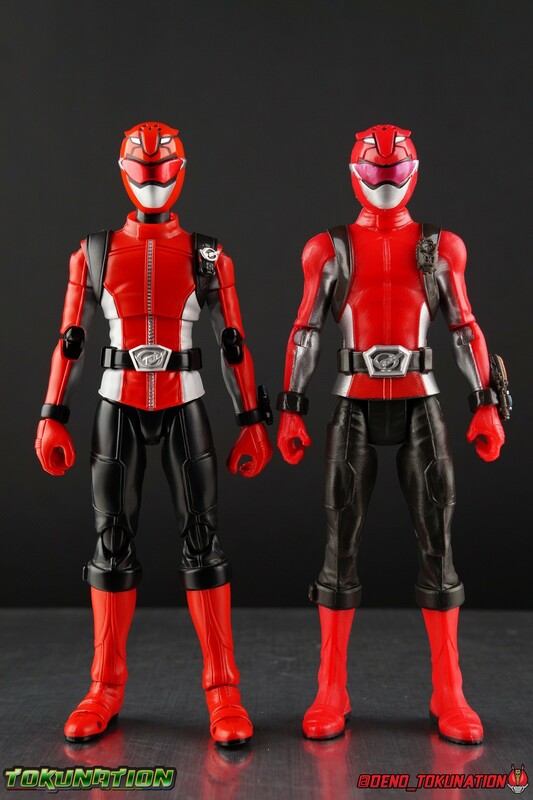 When compared at literally almost an identical price point, it's easy to see that Hasbro's 6" basic line is superior to the old Bandai 5" one in every way. 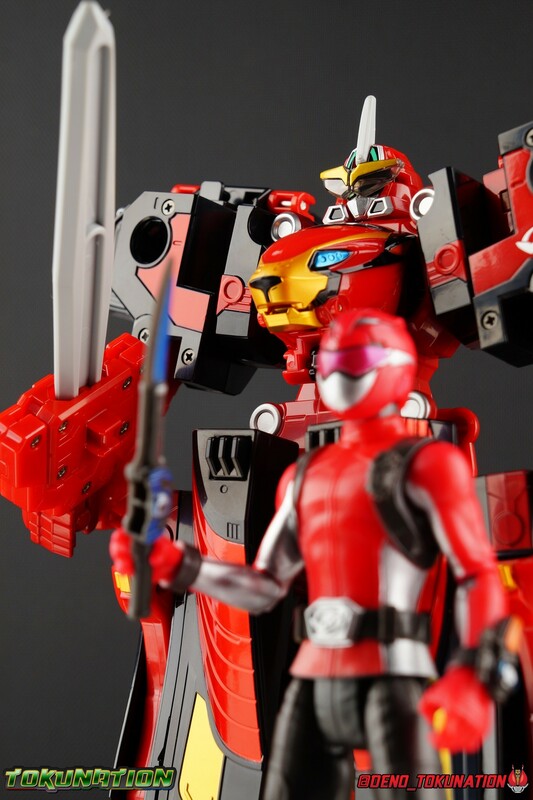 Please enjoy a few size comparison photos I've attached below to see how this figure stacks up to some of Bandai Japan's takes on Red Buster with the S.H. 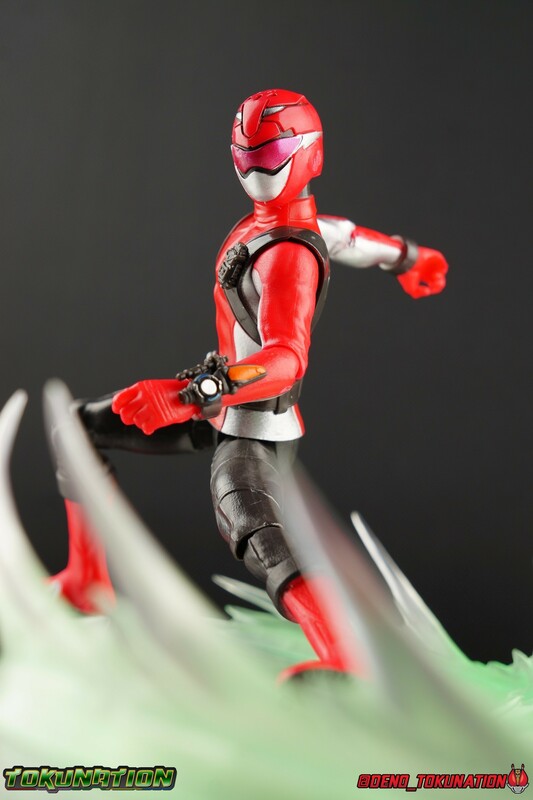 Figuart, MBAF, & Candy Toy figure. 1 - Beast X Saber. 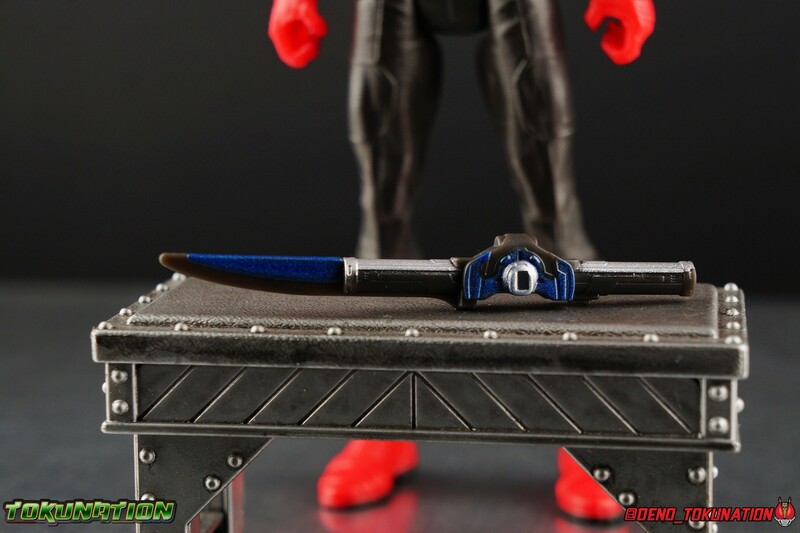 Beast Morpher's version of the Sougan Blade from Go-Busters. 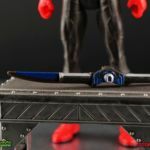 With the Basic figure's the Saber is solid black plastic with a few very well placed blue & silver paint apps that approximate it's feature's perfectly. 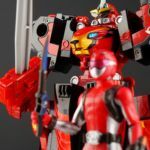 It's can't transform but that's hardly an issue at this scale and price. 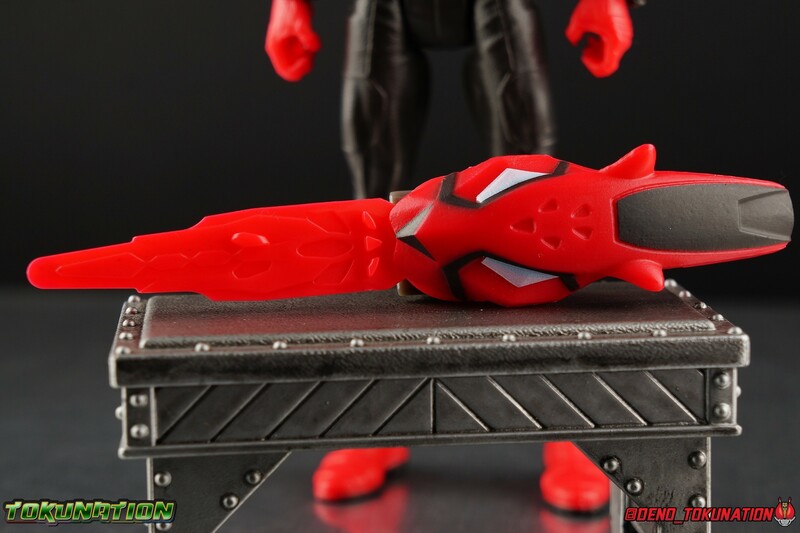 1 - Cheetah Beast Blaster. 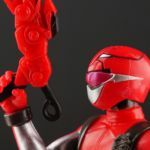 A new addition for the Beast Morphers adaptation. 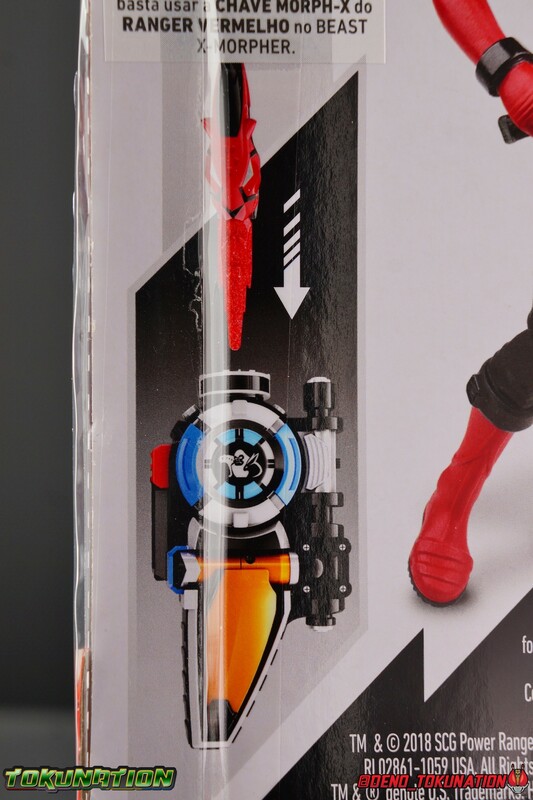 The Cheetah Blaster is first seen in episode 2. 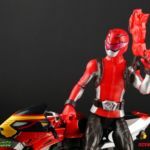 It's used primarily in the Red Ranger's Racer Zord in it's cockpit. 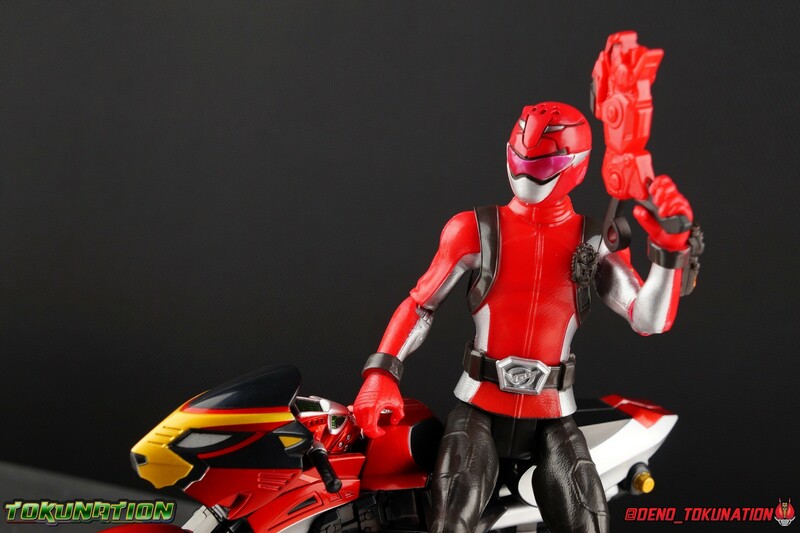 When Devon uses it a cheetah scope materializes on his helmet. 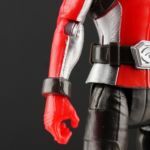 The figure doesn't replicate that or include a part two. But that's nowhere near a deal breaker. 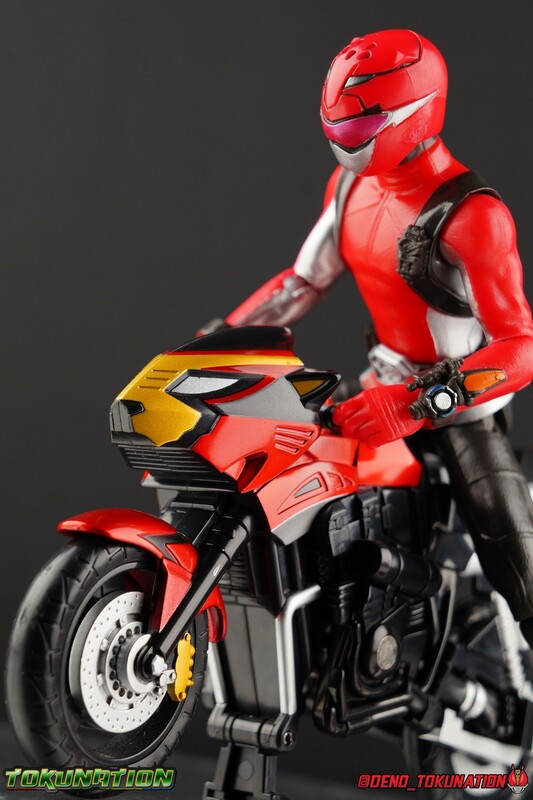 Again, basic figure, basic accessories. 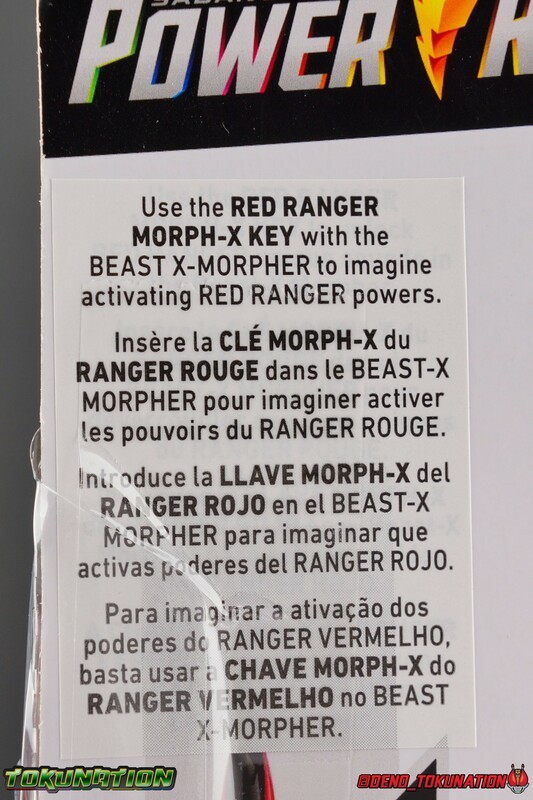 1 - Red Morph X Key. 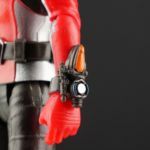 This accessory is primarily meant to be used with the Beast X Morpher. 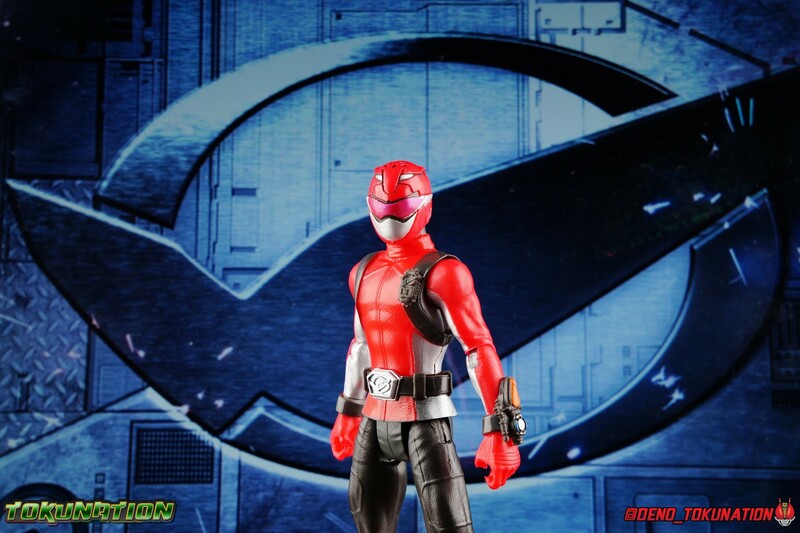 While that toy comes with a Triple Morph X-Key that includes the Red Ranger's, this is a standalone version of it. 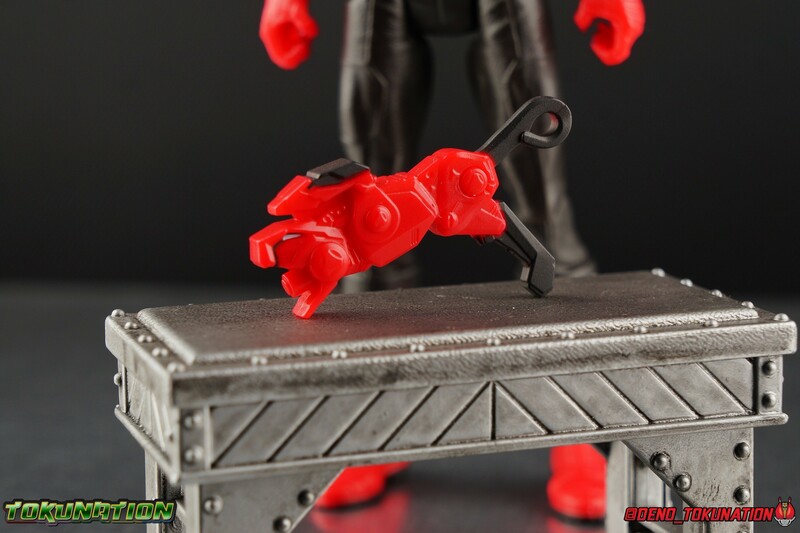 The key part can be rotated back and under the cheetah face, though it's a bit tight so be careful. 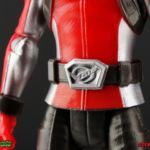 I don't have a Morpher yet to demonstrate it's functionality sadly. 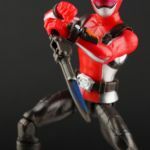 The toyline also gives the keys another purpose, they can snap around a figure's wrist to be used as arm mounted swords. Which is a nice additional play value I wasn't really expecting. 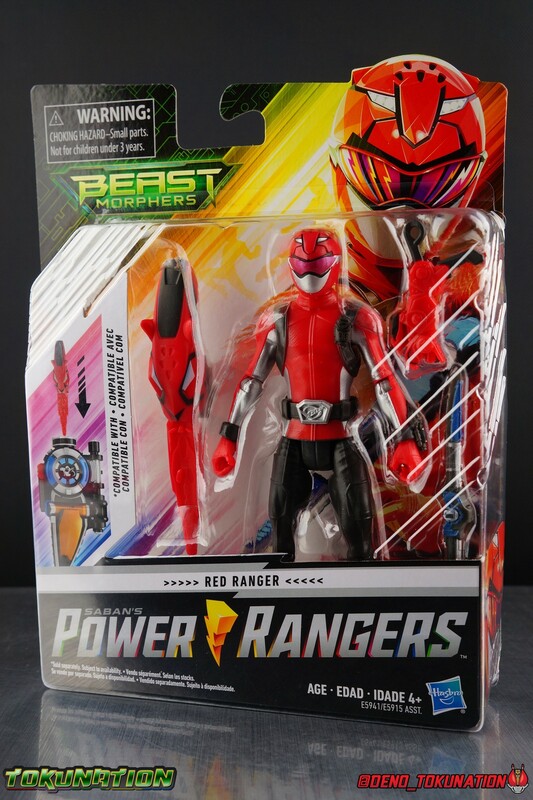 The only absence here is of course the Beast X Blaster but given what the figure does come with, I fairly satisfied with what we get. 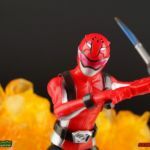 But we've come a long way from the days of Bandai skimping on every accessory and paint app possible with their Ranger figure's. 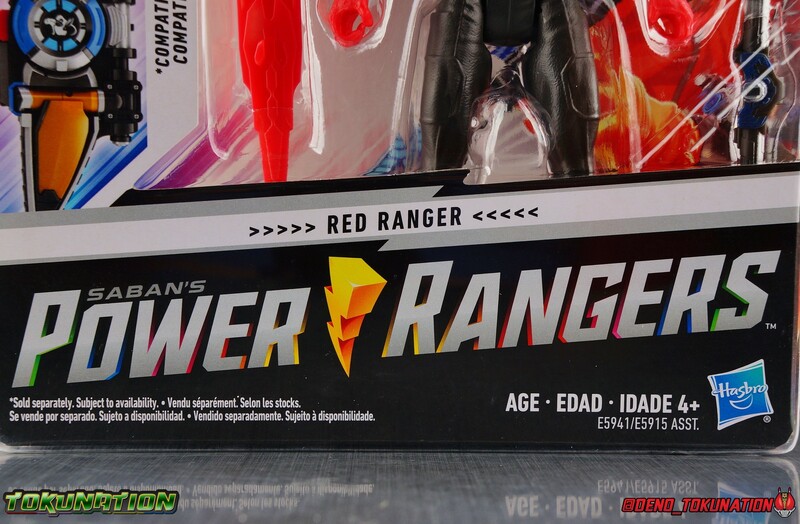 Hasbro is really doing right by us with this Basic line. 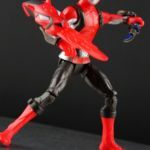 Inevitably compromises are made at this price point for toys. But you have to look at the trade off of what you get, versus what's missing. 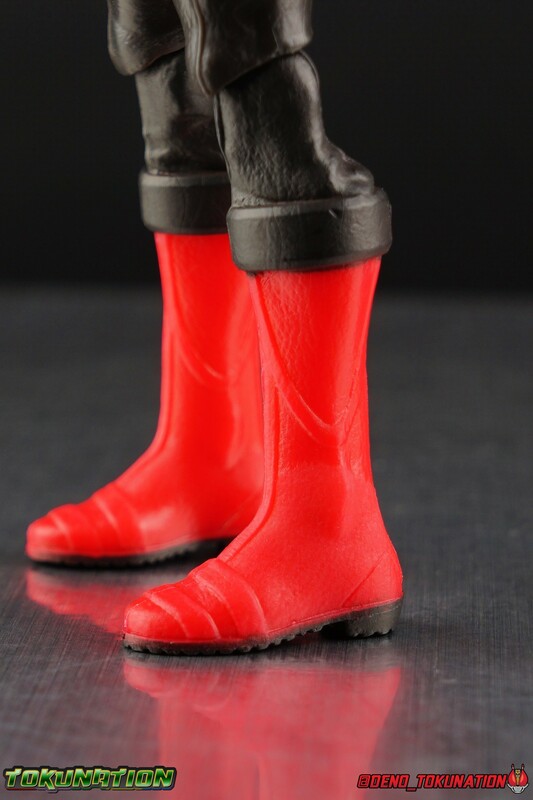 Are there some minor paint apps missing? Sure. 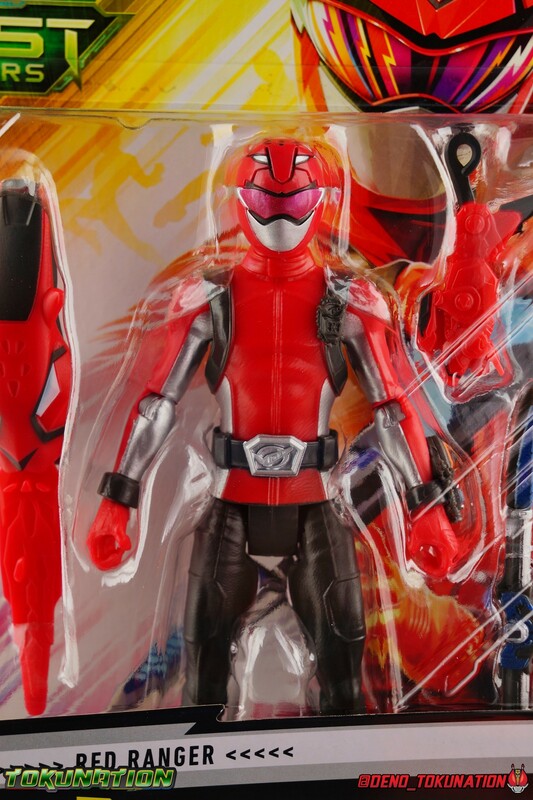 But at least this isn't a supposed collector's line like Bandai's abysmal Legacy 6.5" figures, where missing paint apps were rampant on $20 figures. 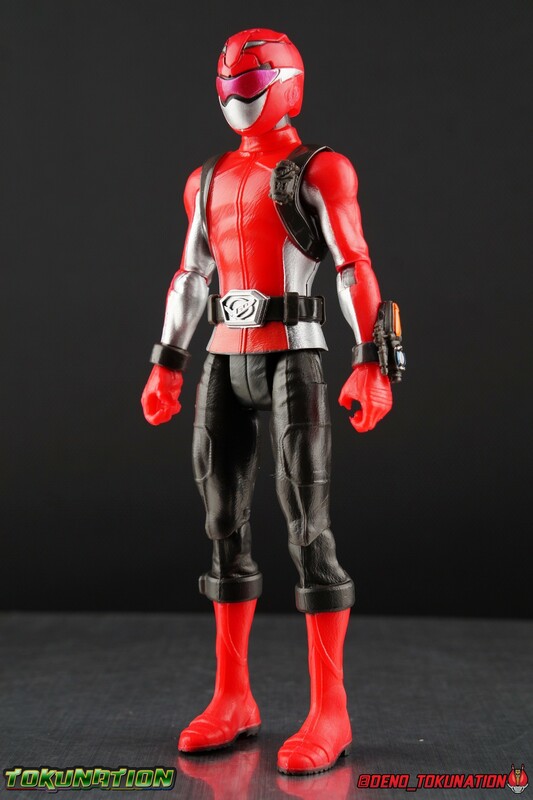 This is a $10 *Basic* figure line aimed at children. 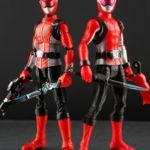 What Hasbro has managed to do is strike a really fantastic balance of playability and price to give us a great line to kick off their ownership of the franchise. 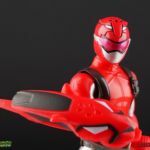 The 6" Basic Red Ranger is a pretty worthy addition to your collection, and a more than acceptable next step in the evolution of the Power Rangers toyline. 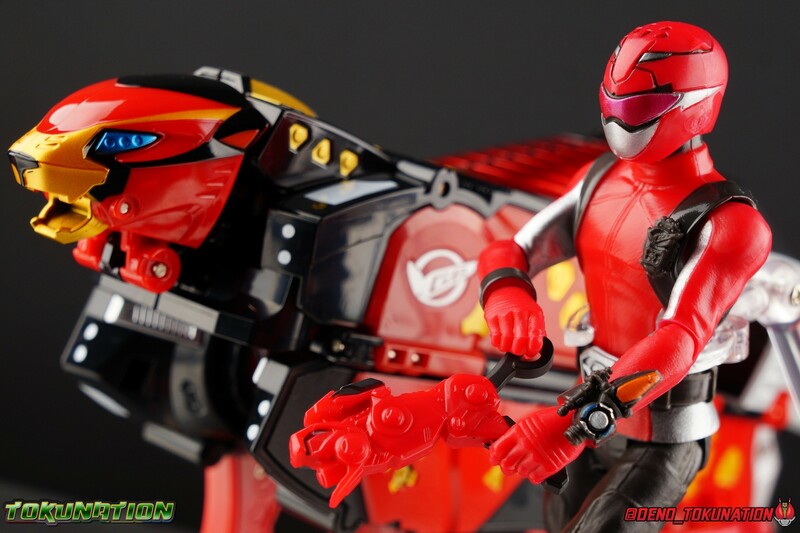 Next time, Cyber Villain Blaze! 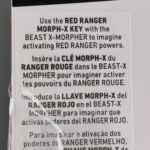 Wait wait wait; I'm not watching the show; are they actually saying "Unleash the beast" in the show? 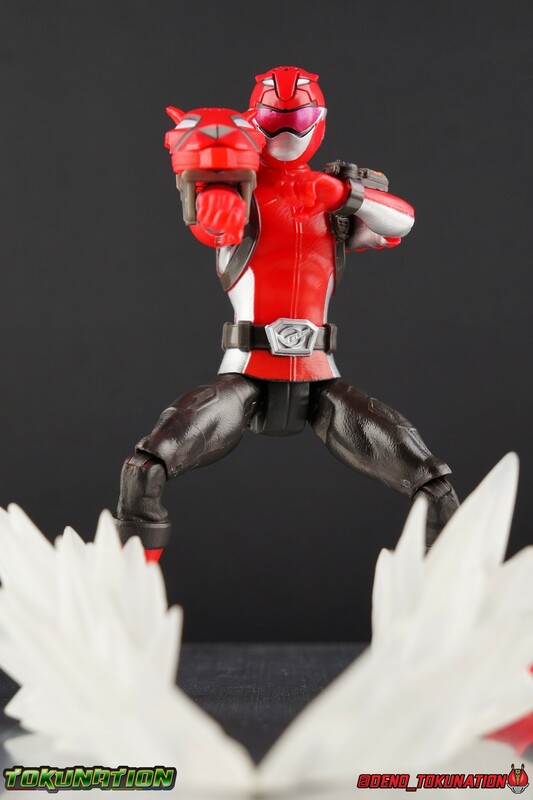 Because OMG Zyuohger yasei kaihou. 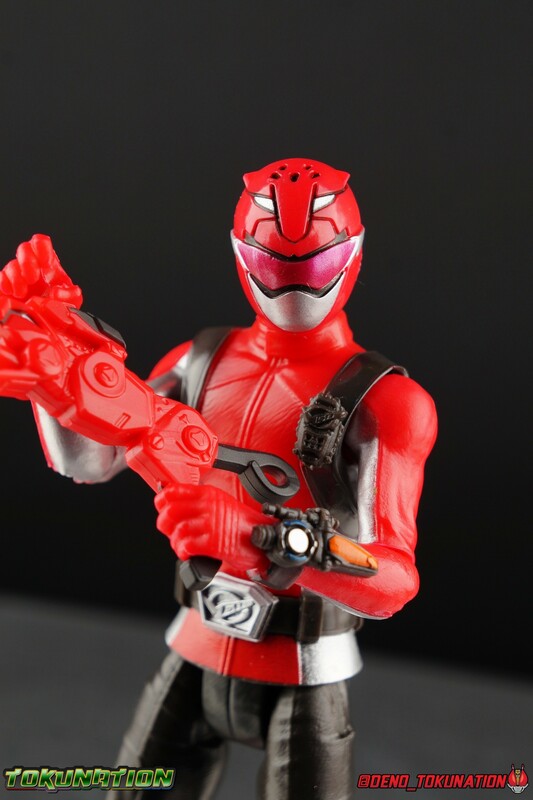 I'm very, very happy to see how good this is for its price point. 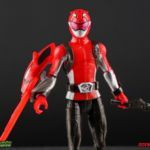 The only thing going against it really is that a much better version - the Lightning Collection figure - is coming out this year, lol. I would pick it up if not for that. 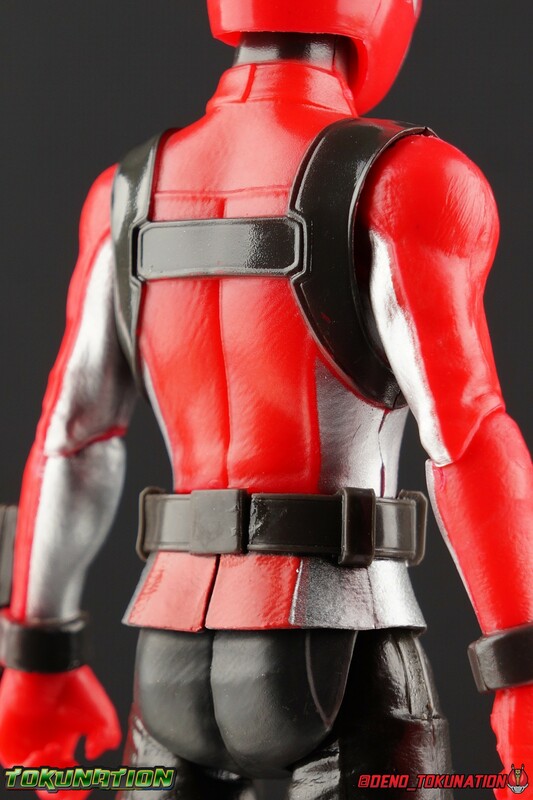 The only problem is the lack of zipper paint. 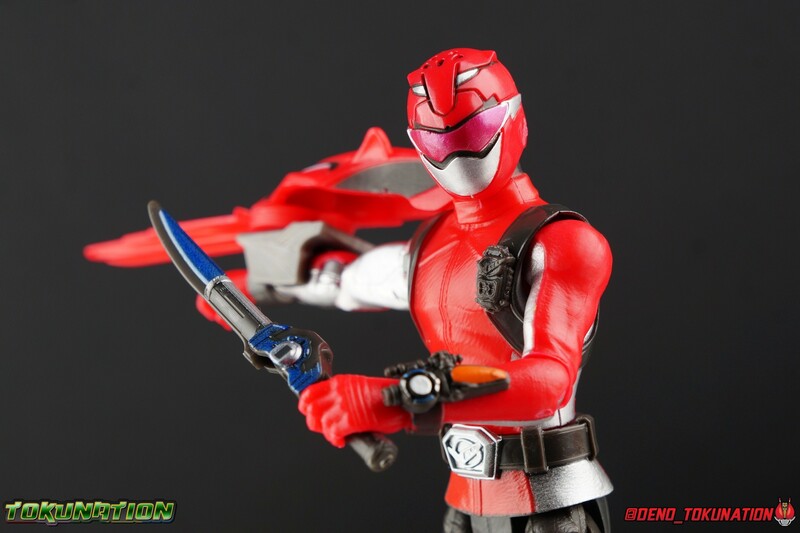 Which is SUCH an improvement over BOA's problems. 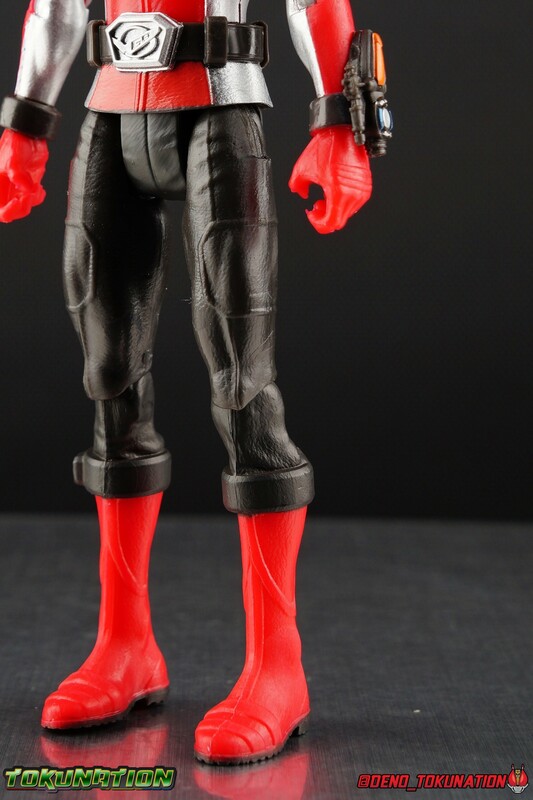 I mean, he looks like a person and not a roided freak. Wait a sec...What is the figure line for the figure on the left at image 38? That's S.H. 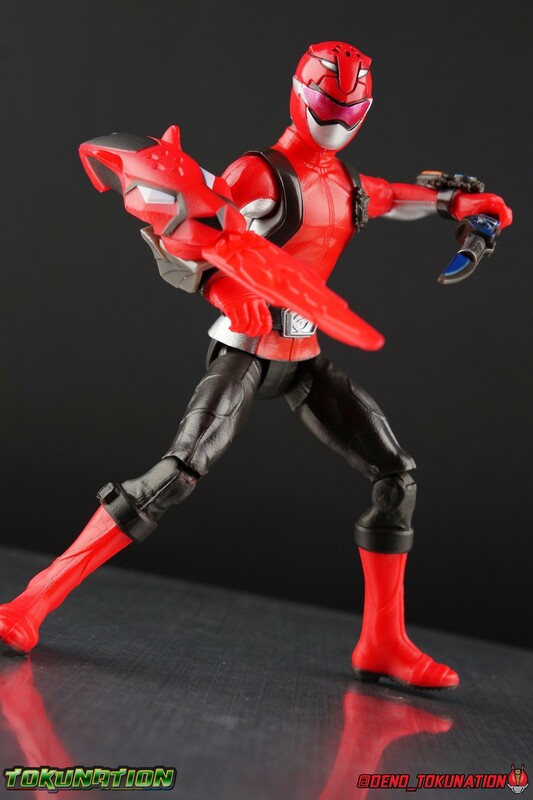 Figuarts Red Buster! 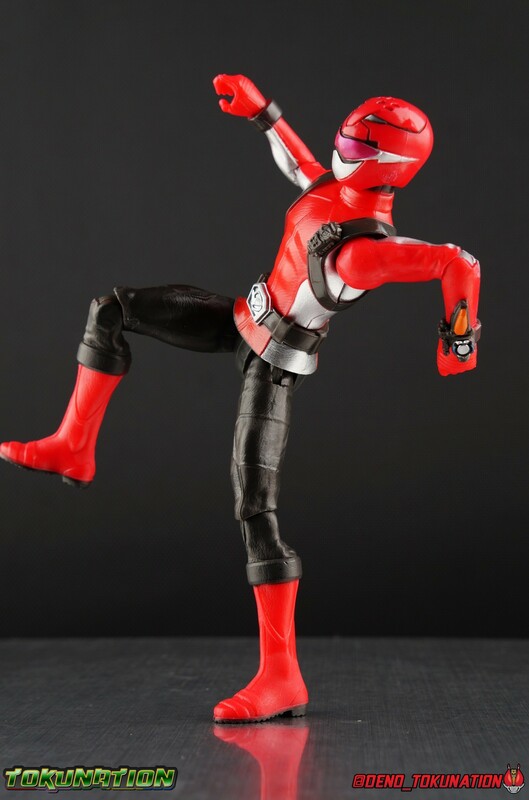 For ten dollars, this and the other rangers are an absolute steal. 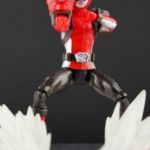 I especially like how the Yellow Ranger's skirt doesn't get in the way of her doing all sorts of poses. 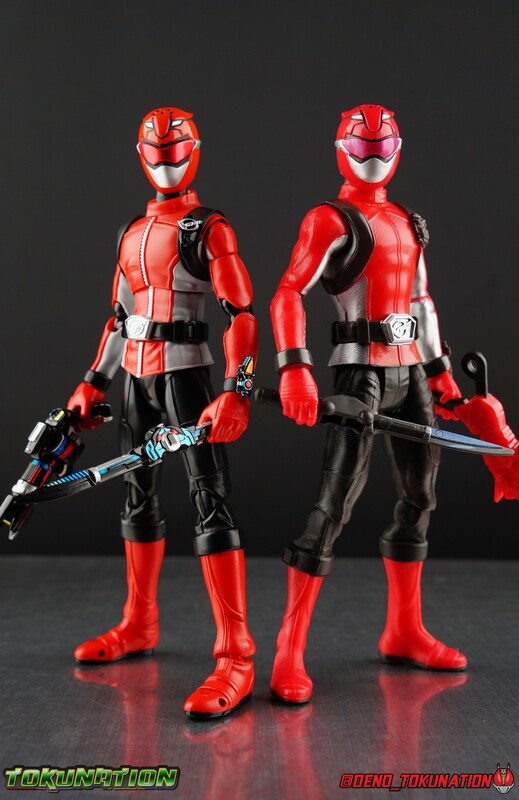 The comparison I'm really looking forward to down the line will be between the Lightning Collection Red Ranger and Figuarts Red Buster! 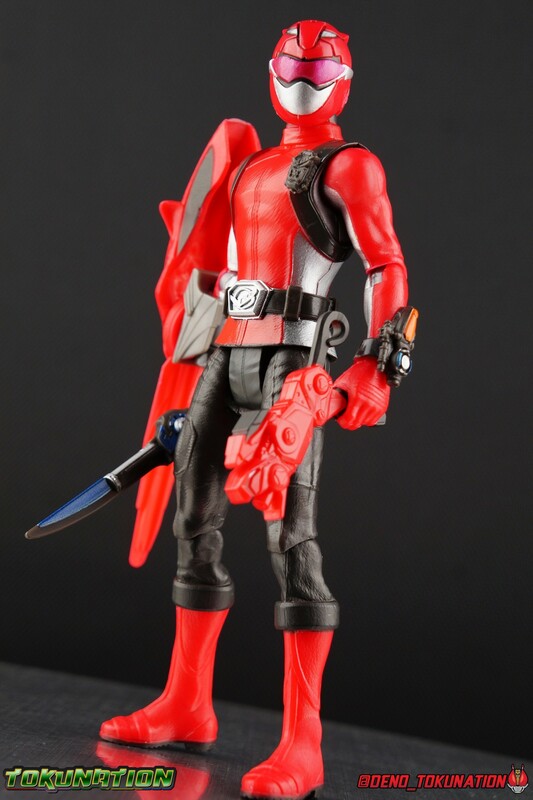 Yeah, this is a major improvement compared to what was available previously. Good stuff. 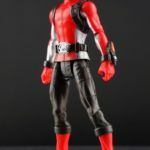 Already with proportions they get bonus points and for a figure of this quality I won't mind if they skip out on certain paint details. Overall a good start. All times are GMT -4. The time now is 6:41 AM.